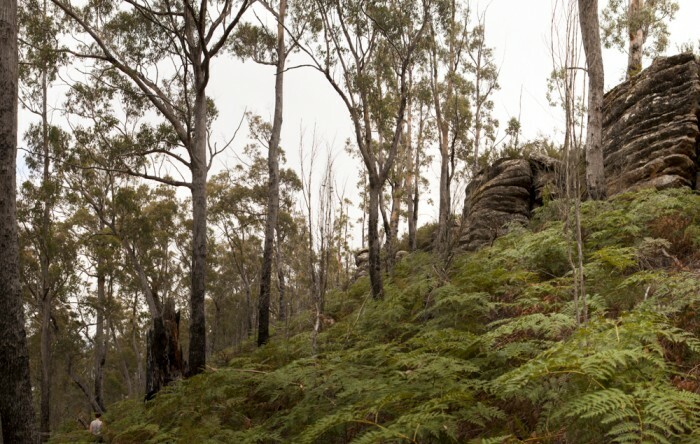 Beginning from the impressive tall tree Rainforest above the Huon Bush Retreats in Ranelagh the 5km return Mount Misery trail climbs 280m through dry sclerophyll forest before reaching Mount Misery’s lovely sub-alpine heathland. From the heathland views of Bruny Island and the Southwest World Heritage Area are offered. 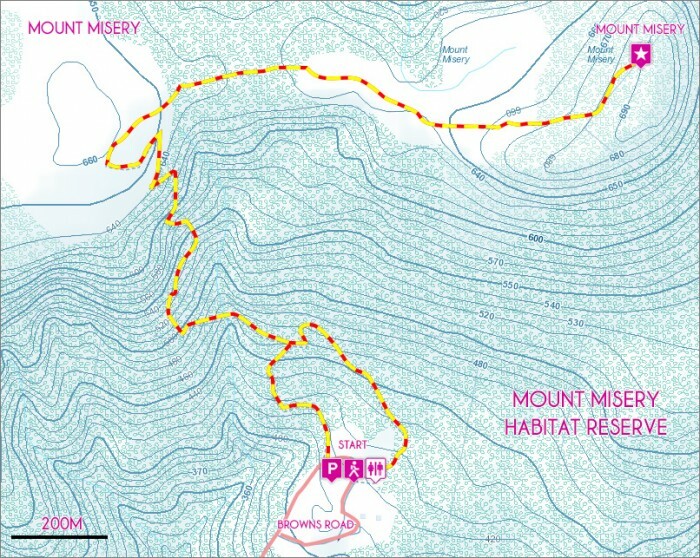 The Mount Misery Trail is a privately maintained track located within the Huon Valley Bush Retreats. Visitors are welcome and asked to please donate. Any donations received go towards maintaining the track. View Google Map Directions From Hobart head south along the Southern Outlet (A6) for 10km. Take the right hand lane at the Kingston Bypass and continue on for 2km before taking the 4th exit to Channel Highway (B68) at the roundabout. Continue 22km towards Huonville turn right onto Lollara Road (C619). Follow this road for 3.6km before turning right onto Agnes Street. After 2.6km turn right again onto Browns Road.Browns Road is a steep gravel road and care must be taken when driving. The Mount Misery trail begins from the road’s end 3km further at the Huon Bush Retreats picnic area. 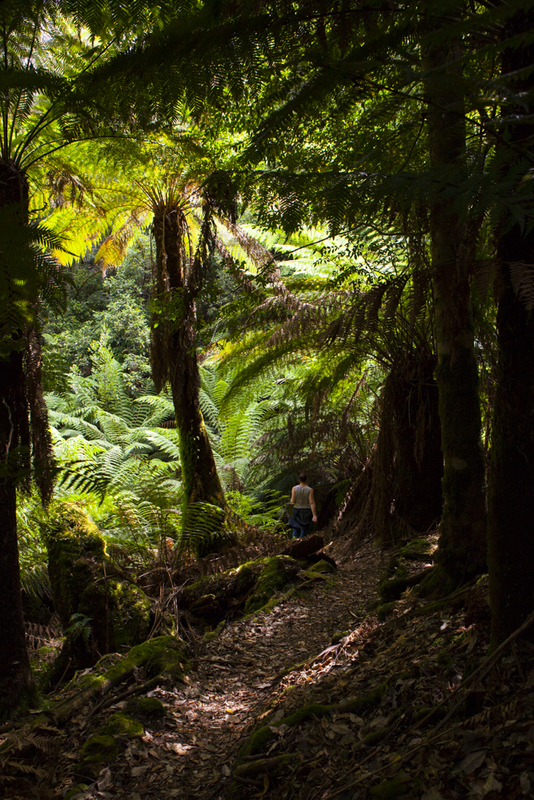 Leaving from the Huon Bush Retreats picnic area, the Mount Misery trail begins on a high note with an impressive stroll through tall treed rainforest. Walking here is easy with well-constructed boardwalks and interpretive signs guiding the way. 15 minutes later the climb towards the summit (700m) begins and the trail gets significantly steeper. 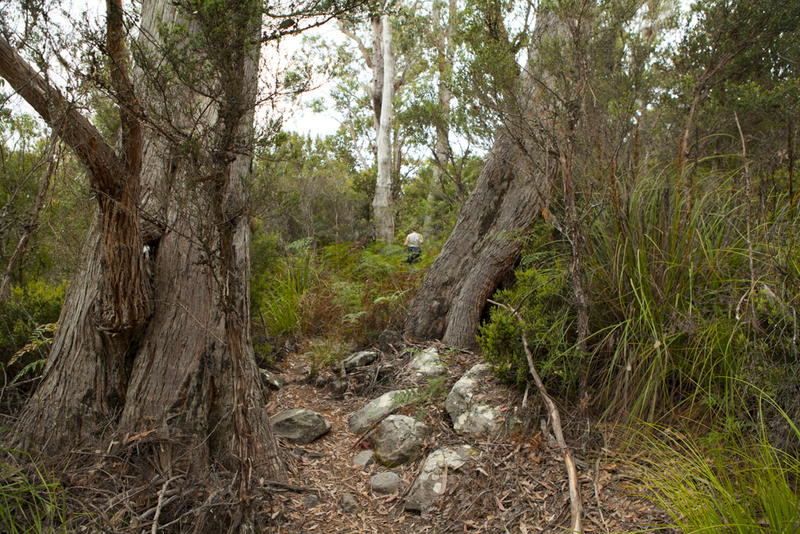 For the next kilometre the trail zigzags uphill, entering dry sclerophyll forest before coming out onto the sub-alpine heathland of Mount Misery. Once on the heathland, Flat Rock is quickly reached and presents the best views from the hike. Looking south many of the mountain ranges of the Southwest National Park can be seen.Continuing on from here the trail weaves through lovely Tea Trees scrub as it gently rises towards the summit 20 minutes further. From the summit there are limited views north towards Hobart. Follow the same route back to the rainforest section of the trail. Once here, a short 10 minute side track to Hidden Falls and Lightning Tree showcases even more of the beautiful rainforest.